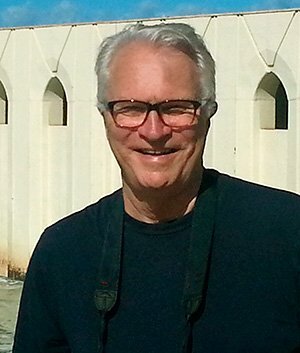 Russ Johnson has worked as a writer, photographer, film and video producer, and broadcaster for organizations large and small. His media career began at age 16 when he hosted his first solo radio program, a weekly jazz show on Minneapolis radio station. While in college, he became News Director of University of Minnesota Public Radio then moved on to CBS’s WCCO-TV, McClatchy Broadcasting in Sacramento and NBC’s KRON-TV in San Francisco. He left broadcasting to attend graduate school and teach broadcast journalism at San Francisco State University while hosting on the air at KABL Radio in San Francisco. Johnson founded Travelmedia in 1984. It has taken him to 60 countries on film, video, photography and writing assignments for national tourism offices, cruise lines, airlines, trade organizations and universities. He has worked on sustainable tourism projects and strategies for the UN Development Programme and the Asian Development Bank while producing videos, books and web media for the six countries of the Mekong Region, Nepal, the State of California, Sonoma County, California, the Pacific Asia Travel Association, the East Asia Travel Association, and the University of Hawaii, among many others. His editorial work includes an award winning TV series on California prisons, a one-hour feature on the coup d’etat in the islands of Fiji for American Public Radio, a series of documentaries on the homeless and supportive housing sponsored by the Robert Wood Johnson Foundation and documentaries on the future of travel with author and futurist Arthur C. Clarke and on sustainable tourism with the BBC’s James Burke. He has also written about travel and technology for the Los Angeles Times, Wired and other publications. He served for many years on the Board of Directors of the Pacific Asia Travel Association and on its Sustainable Tourism Committee. Russ is Editor and Publisher of the pioneering web travel magazine, connectedtraveler.com, which Lonely Planet has called “Armchair travel at its best.” His audio features are heard on public radio stations across the US. Russ has been a featured speaker at international conferences on the subjects of sustainable tourism and travel technology and for many years served as master of ceremonies at the annual conferences of the Pacific Asia Travel Association, as well as being its “voice” on CNN and the BBC. He also moderated the travel technology and photography sessions at the New York Times Travel Show, where he and his wife Pat produced the Connected Traveler Technology Showcase. He lives with his wife Pat, a fine artist, in Sonoma, California. Over the past two years, they have produced fifteen short documentaries about non-profit organizations ranging from nutrition education and art for kids, to job services for teenagers. Many have appeared in the local movie theater as trailers.